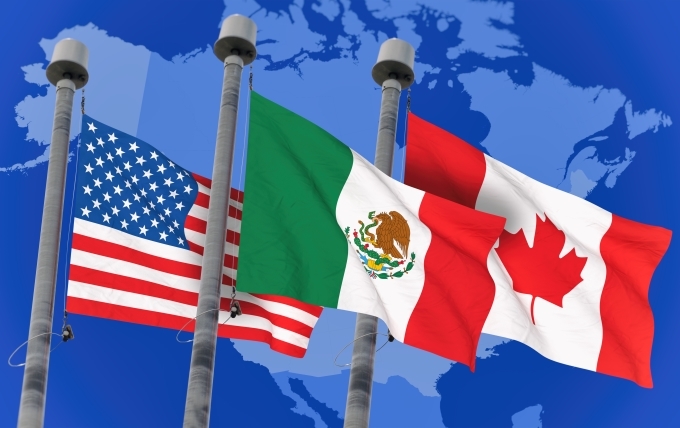 Our Ottawa immigration and refugee lawyers at Gerami Law PC are familiar with the different transfer categories for American and Mexican citizens under the North American Free Trade Agreement (NAFTA), and assist these individuals to apply to work in Canada. Whether you are seeking to transfer to a Canadian affiliate company, to begin a new position as a professional, or to perform after-sale services, we will advise you on the necessary steps you must take to work in Canada under NAFTA. NAFTA allows US and Mexican citizens to work in Canada as intra-company transferees in executive positions, functional manager positions and specialized knowledge positions from related companies. The employee must have worked for the foreign company for at least 1 year in the preceding 3 years in a similar position, as well as comply with the general entry requirements. For example, an American or Mexican company that has sold goods or services to a Canadian company can send workers to Canada to perform after-sales services, like installing, repairing, or servicing the goods that were sold, provided that these services were contemplated in the original contract. Professionals from the US or Mexico can apply to work in Canada if they have an offer of employment from a Canadian company, and if their profession is identified in the NAFTA agreement. This class covers professionals such as accountants, architects, engineers, and computer systems analysts, who meet the minimum education requirements set out in NAFTA. Canadian employers hiring NAFTA professionals are exempt from needing a Labour Market Impact Assessment. Immigration lawyers at Gerami Law PC assist Mexican and American clients with their work permit applications under the NAFTA traders and investors categories. To be eligible as a trader, the applicant must be seeking to conduct substantial investment activities in Canada, or to carry out substantial trade in goods or services between Canada and Mexico or the US. The worker’s position must be supervisory, executive, or involve essential skills. To be eligible as an investor, the applicant must be seeking to develop and direct the business of a Mexican or American enterprise in Canada, and they must have made a substantial investment in that enterprise. The applicant must be an employee of the enterprise, in a position that is executive, supervisory or involves essential skills. Due to the complex nature of trader and investor work permits, interested persons should apply at the appropriate visa office and not at a Canadian port of entry. American and Mexican teachers who have been offered temporary appointments at a university, college, or seminary in Canada, may also be eligible to work in Canada under NAFTA, provided that they are performing duties normally associated with a teaching position. This category is only for temporary appointments; individuals seeking a permanent position must apply under a different work permit stream. Communicating with IRCC on your behalf. For additional information, please contact Gerami Law PC to arrange for a consultation with one of our immigration and refugee lawyers.